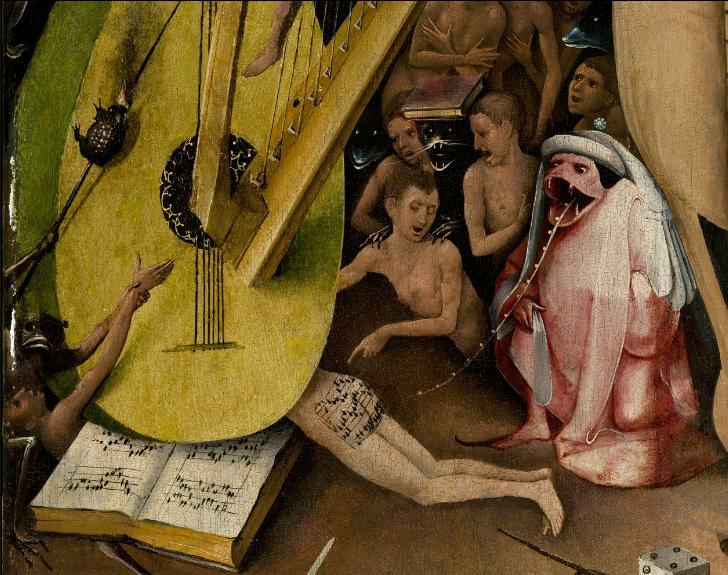 The Dutch painter is famous for his intricate and macabre visions of hell – but have you ever noticed this bizarre ditty painted on a poor sinner’s naked behind in his most famous painting? 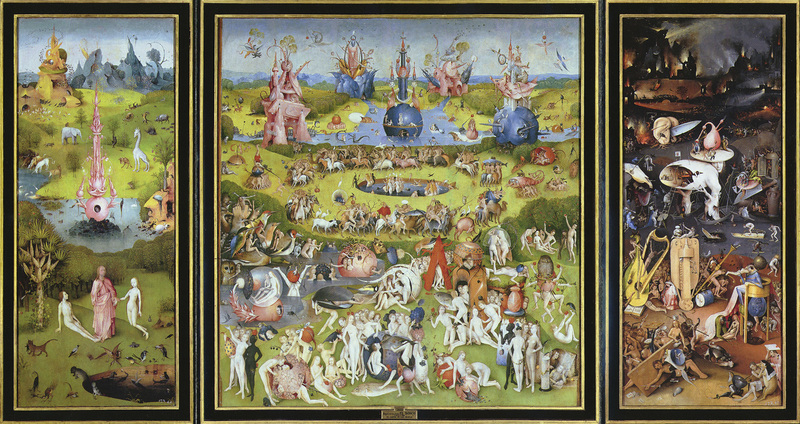 Bosch’s Garden of Earthly Delights is a three-part painting showing the Garden of Eden on the left and a vision of hell on the right. 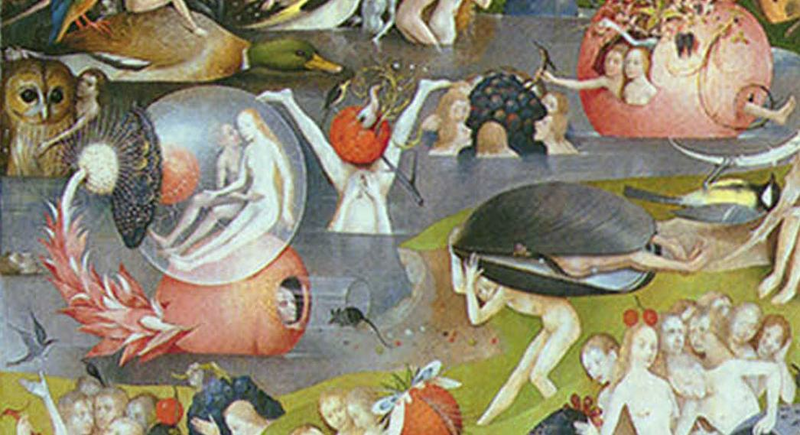 The central panel is something sort of in between – with some frankly crackers animals added for good measure. ANYWAY, we’re not here for the giant owls or even the couple having a great time in a mussel shell. 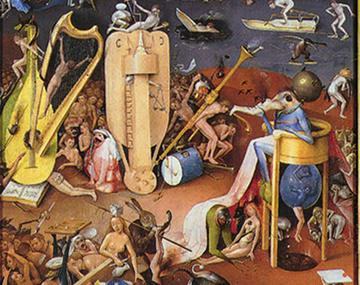 In the vision of hell, there’s a special place reserved for musical instruments (THANKS BOSCH) including a harp, a lute and some sort of woodwind instrument. There’s also a book of sheet music and a demon whose role, it seems, is to imprint music on sinner’s naked bums with his weird note-shaped tongue. A music student called Amelia transcribed the music using modern notation and posted it on Tumblr and now you can hear the piece of music written on a sinner’s naked bum for yourself. Truly, these are wondrous times we live in. To be fair it is pretty terrible.